To get the most out of your outdoor lighting various techniques and lighting effects can be used to draw attention to those special features in your garden. Below we list and explain just a few of the garden light effects that we can use in your landscape project. Whether you have a pond to light, paths that need to be seen at night or to lead the eye or architectural pieces that you want to show off even at night. 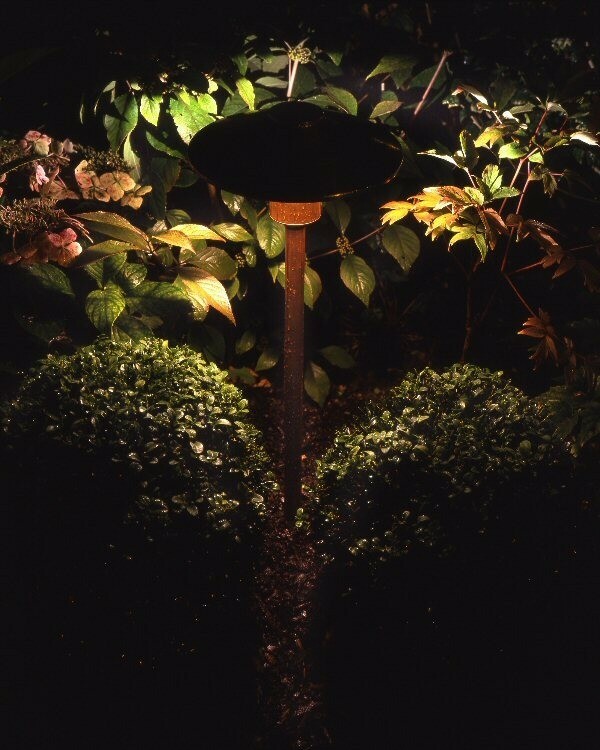 There is a light and an effect that can be applied to each one to create a stunning outdoor lightscape in your garden. Uplighting is when the light source is placed in front of and below the object to be lit. It’s especially effective for highlighting a large focal point in the garden – for example a tree, a big shrub, or architectural features such as pillars, statuary and urns. 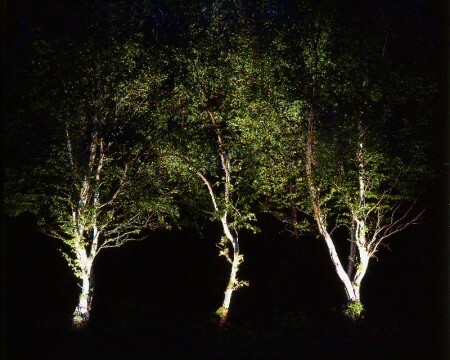 In the first image on the right, we uplit three silver birches. In down lighting, the light source is placed above the object to be lit. Downlighting is used to emphasise the architectural features of a house or garden buildings, to highlight doorways or gates, or to spotlight objects such as planters or benches. 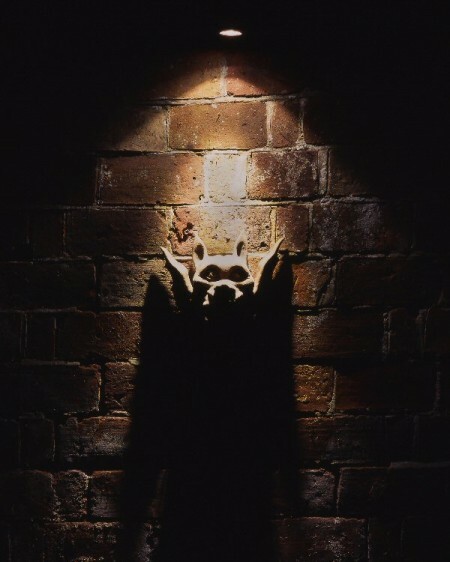 The eerie effect in the second picture was created by downlighting a gargoyle. Sometimes also called backlighting, silhouetting is when the light source is placed behind the object to be lit. It can be used to create truly dramatic lighting effects. An opaque object, such as a statue, will have its outline defined, but its detail will remain shrouded in shadow. 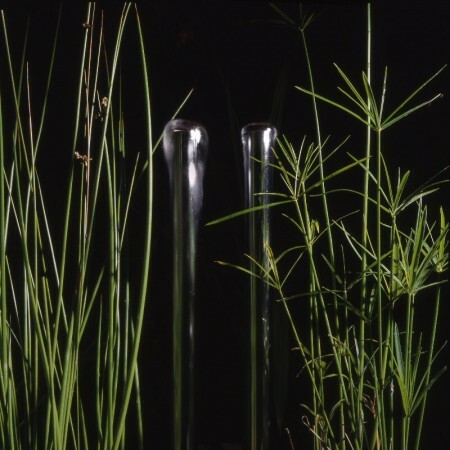 A translucent object, however – like the foliage in the third picture – will shine. Path lighting needs no explanation, but it does need careful planning. The light beam needs to be kept at ground level because if path lights dazzle, the effect will be uncomfortable and, possibly, hazardous. If a path is to be lit as part of a wider garden lighting scheme, keeping the path lighting discreet will usually enhance the impact of the lighting elsewhere. Dramatic effects can also be achieved using path lighting to mark any boundary. In the fourth picture, we used it to illuminate the boundary of a blue-painted deck. Wash lighting, as its name suggests, is used to ‘wash’ a surface with light. The solid surface might be the ground, a wall, even a fence. The light source is placed as close to the surface as possible so the play of light and shadow across it emphasises its texture. Cross lighting is similar to uplighting, in that the light source is placed below and in front of the object to be lit. Where it differs is that instead of placing one light source directly in front of the object, two light sources, some distance apart, are placed in front of the object. This double beam of light from two different angles makes the object appear more three-dimensional and solid. Many lighting effects rely on focusing a tightly defined beam of light at a single point of interest. Moonlighting does the opposite. It’s created by shining, from above, a wide beam of light across a relatively large area. The fitting is usually mounted on a high branch of a tree. The result is a soft, diffused light – perfect for creating a soothing atmosphere for a seating area. Whether lighting a single step on a garden path, or an entire staircase minimising glare is a safety issue. It’s also an aesthetic consideration. Unless the steps are a distinctive architectural feature in their own right, the use of discreet fittings that create little light spill will avoid distracting attention from more interesting features in the lit garden. 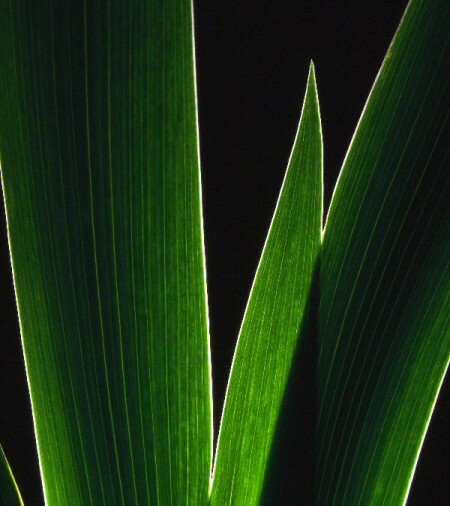 Like all lighting, garden lighting creates shadows which can be used to great dramatic effect. Shadows of leaves, topiary, trellising or statuary can be projected onto house walls, or across lawns, decks or terraces. Adjusting the size of these shadows can be a very effective way to evoke strong moods in the night-time garden. At night, a pool, pond or lake is a mirror. Lighting an object near the edge of the water, or branches overhanging it, will create a reflection in its surface. On a still night, it will be a perfect mirror image. When a soft breeze blows, the reflection will dance on the ripples. 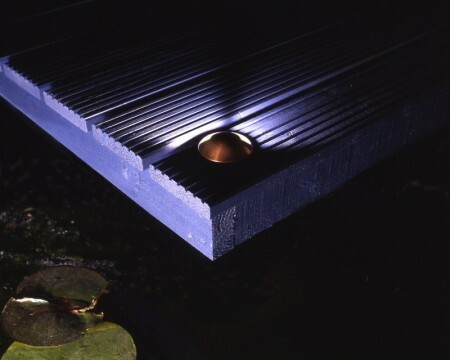 Most garden lighting illuminates static features. Lighting the flow of a fountain or other water feature introduces movement into the night-time garden. To uplight the flow, waterproof fittings can be safely immersed in the water. Alternatively, fittings can be concealed in nearby plants or incorporated unobtrusively in the landscape.